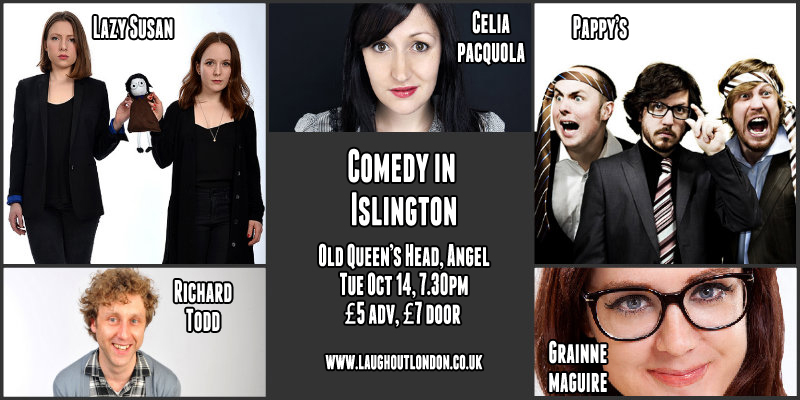 Laugh Out London comedy club returns to The Old Queen’s Head in Angel with another great night of eclectic comedy featuring sketch comedy legends Pappy’s. Sketch comedy legends and stars of the BBC sitcom Badults, Pappy’s are one of the greatest live comedy experiences there has ever been. Australian comic who’s had an amazingly successful 2014 picking up plaudits at festivals across the world. 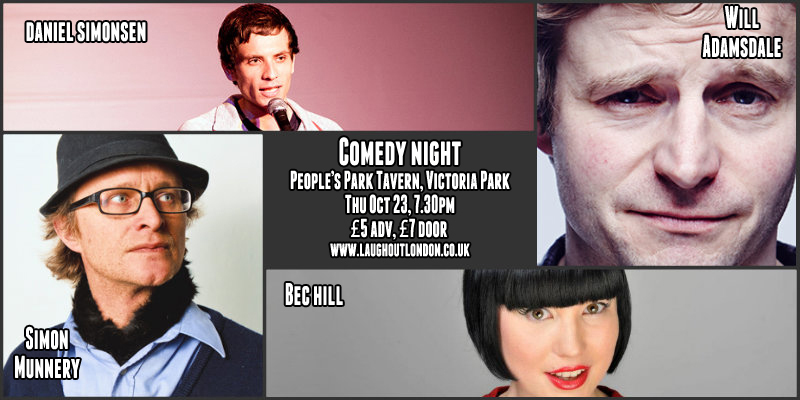 Sketch double-act are anarchic, surreal, fun and very funny. Writer and performer on numerous BBC Radio 4 shows, including the Now Show, the News Quiz and Women’s Hour. Performer on Stewart Lee’s Alternative Comedy Experience for Comedy Central.